The New Zealand leader's promise of tightened gun laws in the wake of the Christchurch mosque shootings has been widely welcomed by a stunned population. Prime Minister Jacinda Ardern said her cabinet will consider the details of the changes on Monday. All gun owners must obtain a licence, but individual weapons in the country don't have to be registered. In Australia, a virtual ban on private ownership of semi-automatic rifles and a government-funded gun buyback cut the size of the country's civilian arsenal by almost a third. The ban followed a 1996 massacre in which a lone gunman used assault rifles to kill 35 people in Tasmania state in 1996. "Personally, I don't think guns should be legal at all. Maybe in some extreme self-defence, but I don't think they need such firearms like that," Dawson said. "New Zealand is not America. America is a totally different situation. I think in America it would be probably more dangerous to take people's guns away. But here, I don't think we need them at all." Akshesh Sharma moved to Christchurch from Fiji to study. He was shocked that the shooter was able to get his hands on such military-style weapons. Sharma agrees with the prime minister that gun laws need to be tightened. "I don't see this as a place where you need guns to live to feel safe," Sharma said. "I can understand in the U.S. maybe, but here it's a different story." "I think when people harbour hate like that, these things are possible," Roberts said. "Particularly Australian citizens, I don't understand how they can get access to firearms in New Zealand when New Zealand citizens can't get access to firearms in Australia," he added. Ian Britton uses a rifle for shooting rabbits and target shooting. He favours outlawing assault rifles like those used in Christchurch because they're unnecessary. "I can't use the words I'd like to use, but it's disgusting. I never thought I'd see that in this country," Britton said. Ardern noted that attempts to reform had failed before under pressure from the gun lobby. "There have been attempts to change our laws in 2005, 2012 and after an inquiry in 2017. Now is the time for change," she said. New Zealand was the only one of nine jurisdictions at the meeting to reject the deal. 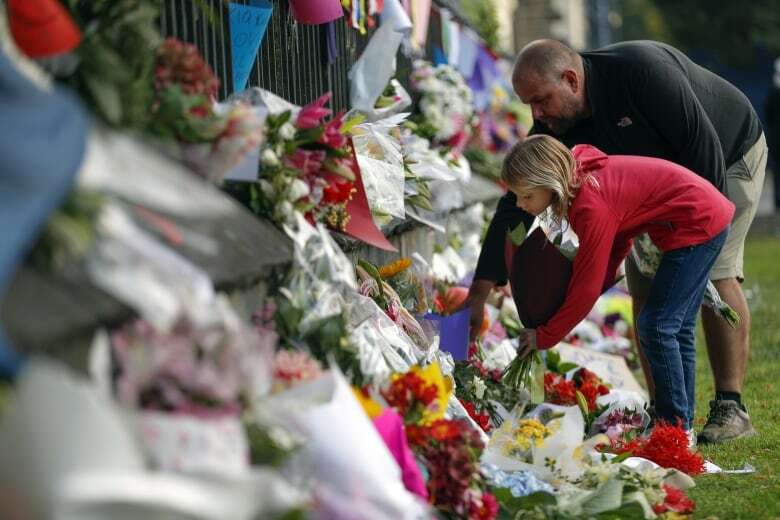 Philip Alpers, a Sydney University gun policy analyst, said New Zealand had rejected the most important reform among a raft of gun restrictions that halved Australia's gun death rate.